As first italian official event, the Stuttgart Ambassadors Team has the pleasure to invite you to ColVino. This is a cozy Italian vinoteque located in Stuttgart downtown just near by the Town Hall. Join us and you could taste the best Italian wine in the city. 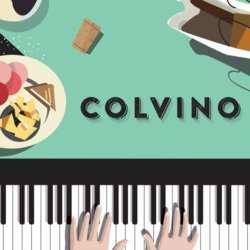 @ColVino you can buy wine for home enjoyment, drink a quick glass of wine, attend a wine tasting or have a bottle raised against a small corkage allowance. However, ColVino it is not only wine. The owners prepare also delicious dishes according the typically Italian “slow food” movement. You will see, @Colvino you are in good - and above all competent - hands. Are you ready for a relaxed evening along with the coolest Expats Community in Stuttgart? If yes, don’t be late!!! For the first 30 early birds there will be a free welcome drink, while for all the attendees there will be a delicious Italian cheese aperitif. Don’t forget to bring with your most beautiful smile, good mood and all the people you love. We are looking forward to see you the 16th of April at 19:00h.